Full set of the MOS-FET, low resistance wiring and Tamyia connetcors. Just simply replace your wiring with this new electronical switch. 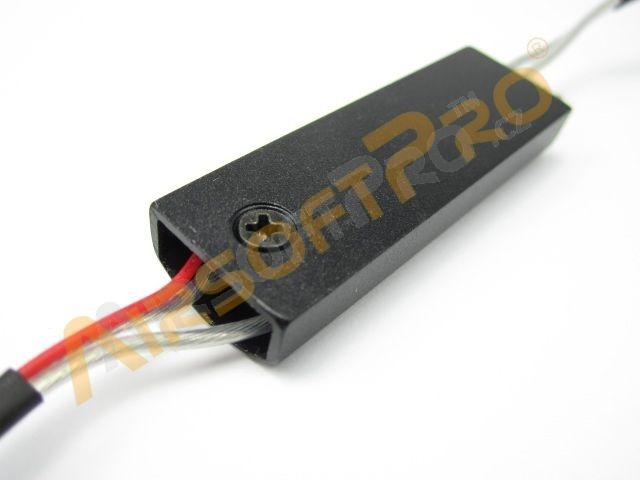 Mosfet circuit is in metal frame which protects against damage and also works as a heatsink. 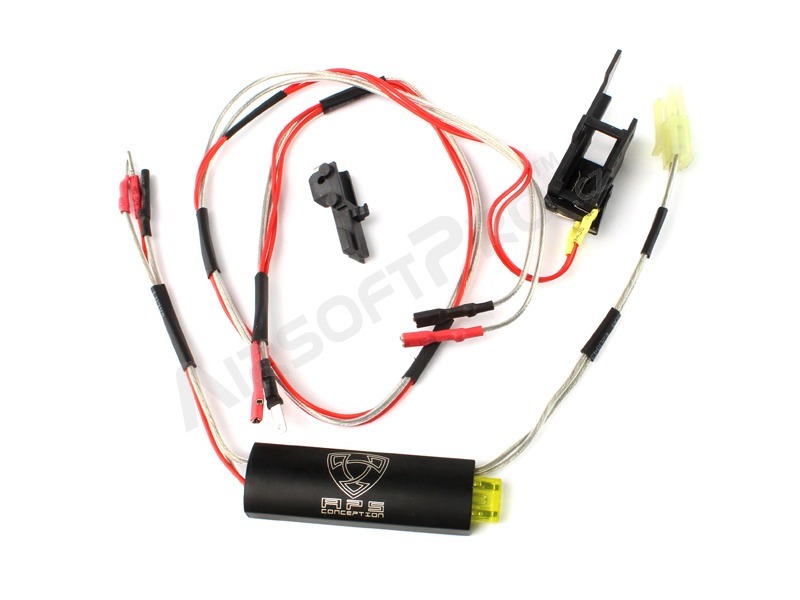 Set is suitable for all springs and works with any NiCd,NiMh battery (7.2-10.8V) or Li-Pol battery (7.4-11.1V). Suitable for gearbox v.3 with the back wiring.